My BFF of 20 years got married a week ago in Michigan. It wasn’t an egregious Kardashian-like wedding, nor was it a super frugal occasion that cost $591.12. The nuptials took place in her beautiful hometown (population 2,000) on Lake Michigan, and there were 28 people. It was perfect for who they are. 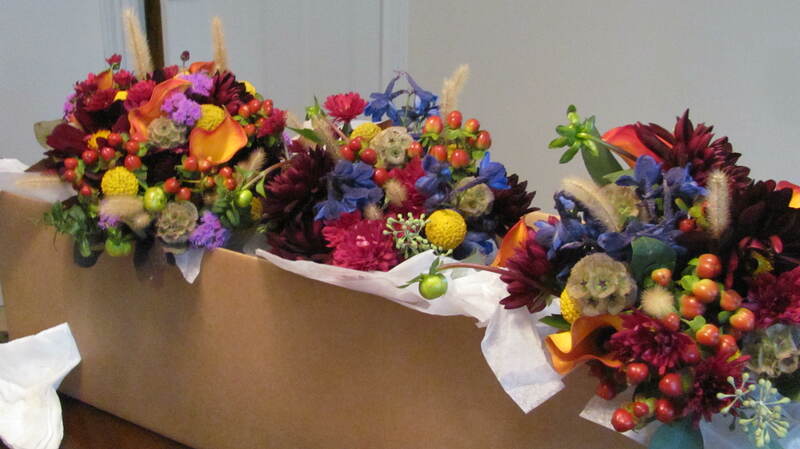 Bouquets for her country wedding (bride’s is the one on the far left).